Last night I went to my first Brown Owls meeting! I know, I know, it’s May already and I’ve not been to any yet (apart from the very first meet-and-greet one) but I’ve been so darn busy. 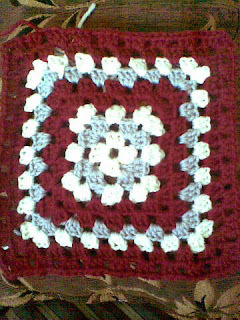 But they had a Granny Square lesson, so I signed up. I turned up to the Carlton Library, biscuits and wool clutched in hand, and off we went. There were some lovely ladies there, I don’t know which blogs they own, but I found out about the ladies themselves. There were 2 Special Ed teachers (I couldn’t see their nametags because of the angle I was on), a primary school teacher at a Stiner school named Kate, a children’s book publisher (again I missed her name) and another lady, Sophie, who worked in TV as a floor manager and camera operator. There were some other ladies but they were further down the table and I didn’t get to talk to them. I found it fascinating that the jobs I did learn of are all sort of nurturing or creative. And d on’t get me wrong, I’m sure accountants and lawyers http://onhealthy.net/product-category/alcoholism/ craft too, but it was so lovely to sit in a room full of lovely ladies and craft along. Cheers to the wonderful Pip and Kirsty who took the time to show us how to Granny Square. Although I’d sort of taught myself from YouTube, it was good to have someone show me how the hell to hold the yarn and hook (I was doing a weird thing involving all the wrong hands) and how to go from row to row, which I’d sort of worked out myself but it seemed to be spiralling out rather than the nice neat squares you’re used too. To the right is my granny square. I crocheted to the outter gray row at the meeting, then came home and did some more. I love learning new things, but it’s always a danger to other work I’ve got going on. Artwork A (it’s still a secret) went by the wayside as I started on Artwork B for an exhibition, which has been sidelined as I crochet this granny square. I need more hours in each day dammit! oh, how fantstic! you so have to teach me! Absolutely I’ll teach you. It’s so simple, but easier when someone shows you.